Switch to ON button,start the fan. At this point,press the TURBO button to make the TURBO bounce,and the fan will speed down and the wind will weakened. Switch to AUTO button,then it goes into automatic mode;the fan will start as temperature rise and will stop working as temperature fall automatically. When in working state,if five fans are not working together,please switch to OFF;press TURBO button to make TURBO button in pressed state,then switch to ON again. New appearance, lightweight and portable, easy to use. 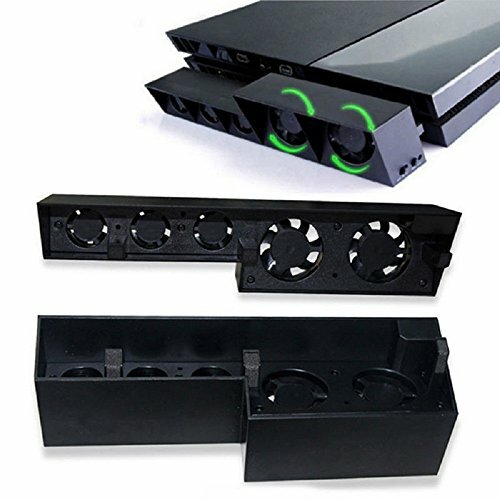 Super cooling fan for PS4 Edition Gaming console; This PS5 Edition cooling fan appearance is novel and handy. Cool down your PlayStation 5 hardware and make sure its dustless. Automatic mode cooler turns on when your PlayStation 5 gets hot and turns down when it gets. If you have any questions about this product by Prodico, contact us by completing and submitting the form below. If you are looking for a specif part number, please include it with your message.